Canada25 is a non-profit, non-partisan organization that brings the voices and ideas of Canadians, aged 20-35, to the nation’s public policy discourse and takes action on issues of local and national significance. Develop and articulate policy proposals on issues of local and national significance to Canadians. Implement a select number of local and national initiatives developed through Canada25’s public policy deliberations. Act as a resource for government, business, and community leaders wishing to engage the perspectives and talents of adult Canadians, aged 20-35, with a keen interest in public affairs. Build an international network of people who share an interest in public affairs and civic engagement in Canada. Provide exciting opportunities for Canadians, aged 20-35, to build policy analysis and civic leadership skills. In the spring of 2001, having been newly appointed as a vice-principal in Coquitlam, I joined 21 other delegates and six organizers from across Canada in Port Severn, Ontario, to craft the document that would become A New Magnetic North: How Canada can Attract and Retain Young Talent. I remember little about the document, but have fond memories of the event and project which has helped shaped the last decade of my professional life. I remember becoming roommates with Marc Kielburger, who has since become known around the world for his involvement with Free the Children. I remember an amazingly passionate group of your people who wanted to make our country better. I remember Maclean’s Magazine, who were onsite to cover the event, being seemingly disappointed that we worked together so well and didn’t fight much. I remember thinking I was part of something special. I remember being so impressed by those who pulled the event and project together — particularly, Alison Loat, who I follow today as she continues to push for greater engagement in our political system. Ten years later, it is neat to be part of an alumni for Canada25 that includes Kielburger, Loat, open-government guru, David Eaves, Calgary Mayor Naheed Nenshi (who authored a subsequent Canada25 report), and dozens of others in a range of fields who are changing our country. One sometimes doesn’t realize it when they are in the midst of something special. My thanks to all of those involved with Canada25 — 10 years later, you are still influencing me. We don’t have the ‘middle layer’ of support for our schools that some districts have; we have no district coordinators, helping teachers, district support teachers or other similar positions that many, particularly larger districts, have to support the work of the teacher and schools. In part because of size, and in part because of vision, we have made commitments around school-based staffing; thus, we are required to develop a model to support digital literacy and other innovative learning relying on the work in schools with limited outside support. I call this the “Just in Time” solution, where we have principals and vice-principals who are learning leaders. Regardless of their technology skills, they know their pedagogy and find ways to connect learning goals to technology and, more importantly, provide leadership around curriculum and assessment. We have also been overt in recent years with our postings and our hirings — having digital skills is an expectation for new principals and vice-prinicpals. They are our first circle of support, and we need to continue to support them to lead the learning (including digital learning). Teacher-librarians are our second circle of support. In a recent interview with Dr. Paul Shaker on Your Education Matters, I said that as we move forward “teacher librarians are more important than ever.” My experience has been that next to the principal, the teacher-librarian is often key in moving the learning agenda forward. In schools that are moving forward, it is very often the teacher-librarian, working side-by-side with teachers on staff, who find new ways of working with students. 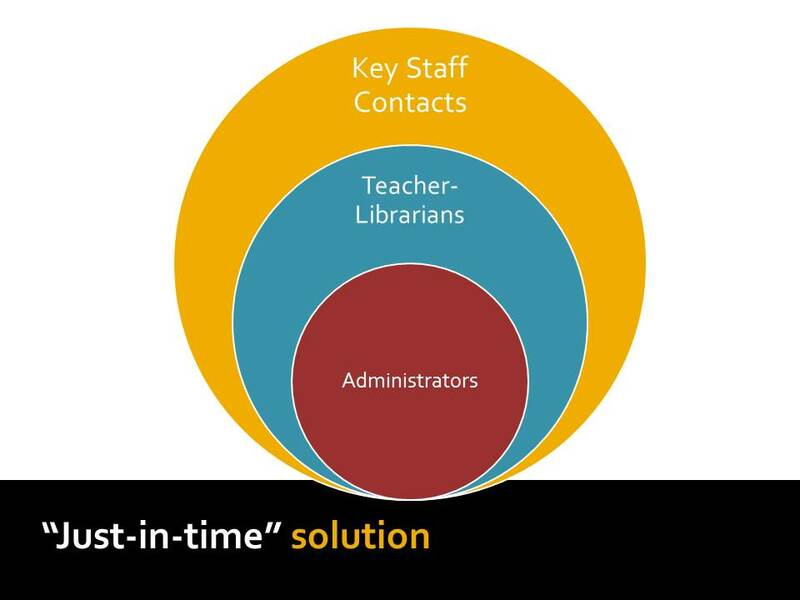 The third ring of the “Just-in-Time” solution is key staff members; they are formal leaders like secondary curriculum coordinators, or informal leaders who have an influence on staff, who are able to help in the moment to support digital literacy. Teachers cannot wait for a workshop in six weeks, when they are stuck now; they rely on our network of staff — formal leaders, teacher-librarians, and key teacher leaders — all working together. I saw the power of the teacher-librarian working with Gordon Powell (click on his name to check out his great blog), when I began my teaching career at McRoberts Secondary in Richmond, and then later in Port Coquitlam, as Principal at Riverside Secondary working with Sue Kilpatrick and Ron Haselhan, who simply “got it” in their roles supporting and working with teachers and students. I am hardly an expert on teacher-librarians, but I have now seen first-hand — in three school districts — the important leadership role they play. My thanks to Moira Ekdahl, a teacher-librarian from Vancouver and a recent winner of the CLA Angela Thacker Memorial Award who, in her recent post here, did a much more articulate job of pulling together my thoughts around teacher-librarians. On the topic of library transformation, the BC Teacher Librarians Association have a wonderful document: The Points of Inquiry. As we lament that little change has taken place, or how slow the change has been, many teacher-librarians have transformed what they do to stay relevant and ahead of the curve. 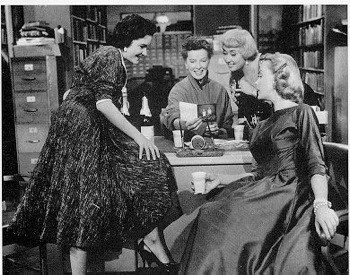 We have many who are seeing their roles, as Seth Godin does, “as producer, concierge, connector, teacher and impresario” (Later, in this post, Seth stole my line about librarians being more important than ever). Finally, one more place worth reading on the topic is Gino Bondi, Principal at John Oliver in Vancouver, and the work they are doing on a Learning Commons. Thanks to Gino and Moira, Building a Learning Commons, is now on my summer reading list. Key leaders can make a huge difference at this critical juncture. Jettison blatant merit pay, reduce excessive testing, don’t depend on teacher appraisal as a driver, and don’t treat world-class standards as a panacea. Instead, make the instruction-assessment nexus the core driver, and back this up with a system that mobilizes the masses to make the moral imperative a reality. Change the very culture of the teaching profession. Do so forcefully and you will find many allies. It is time to embrace, and relentlessly commit to the right drivers. In a presentation last week, I discussed the changes we have seen in reform and focus in British Columbia. We moved from a system of school accreditation, to district accountability, to where we are now, considering system-wide reform. And this system-wide reform in British Columbia does not have us standing out there alone — there are similar conversations in other high-performing jurisdictions from Alberta and Ontario, to Finland. 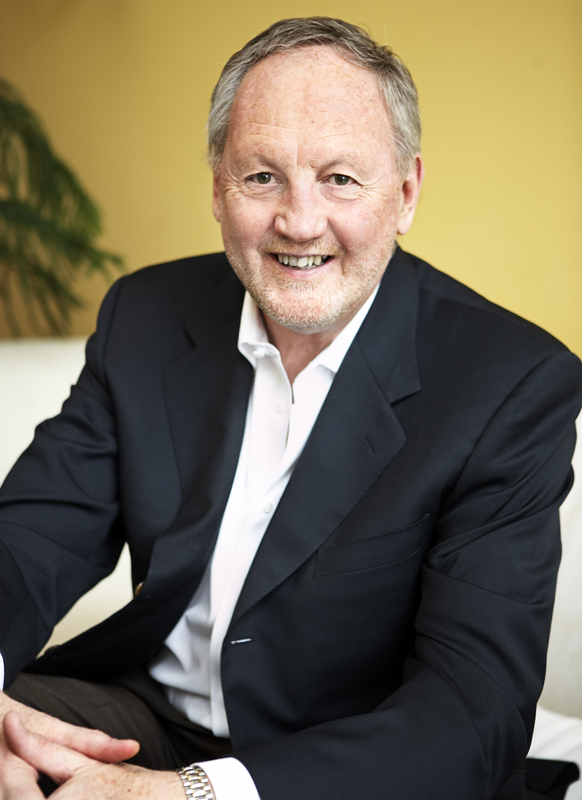 Fullan’s list, while not breaking a lot of new ground for educators, is a good reminder of what should and shouldn’t drive our changes. The challenge is making them, in appropriate combination, come to life. It has become clear to me that, in order to keep education as a relevant and prominent issue in the public, we must find new and innovative ways to engage with the community. Granted, the relationship between public education and the public, a situation not unique to British Columbia and reflected in other public sectors as well, is sometimes prickly and stressed. Nevertheless, as mentioned in a previous post, for public education and the for the sake of our students, the status quo is not an option. This Wednesday I will have the opportunity to work with the newly minted Open Government and Community Partnerships Division at the BC Ministry of Education. The new group’s responsibilities include Citizen Engagement, Libraries and Literacy, Corporate Accountability and Families First. The group will also support the ministry’s core work and direction on personalized learning. Its efforts regarding engagement is consistent with our work and our emphasis on the use of technology in West Vancouver to embrace increased openness. As such, the work session in Victoria is focused on three vital aspects we, in West Vancouver, have been nurturing — transparency, engagement and participation. Also, in a previous post: Make Transparency Concrete, I wrote about how I conduct business; but I am especially interested in the larger, open-government movement, about its direction and its potential in regards to education. What does it mean for the classroom as well as for the educational system as a whole as we embrace the tenants of open government? These pillars are very similar to what we often describe as “21st century skills” in our classrooms. What we are chasing for our students is also what we need to be striving for as a system. 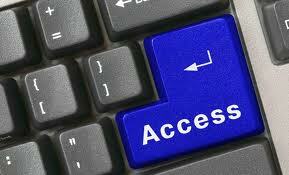 Another influential author on the topic of open government is David Eaves. His ideas — like those around the use of data in our system — challenge me. And, it seems, around the world “open government” is the new rage. But I worry that we can easily be caught up in the buzzwords, and not fully understand the key concepts, core principles and strategies we need to implement for open government to occur. What does open government and citizen engagement mean to you in the context of education in BC? For me, it starts as a change of mindset, and moving from the default setting of being private to becoming public. It’s a great opportunity to influence and connect not only the “what” of education but the “how” as we continue the journey forward. Last month, I had the honour and wonderful opportunity to be interviewed by Paul Shaker, Professor emeritus, Faculty of Education, Simon Fraser University, for a Shaw TV series, Your Education Matters. Your Education Matters is the only TV program in BC dedicated to addressing education issues beyond the headlines. 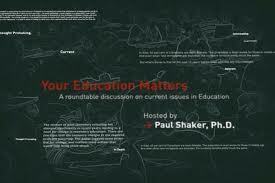 Hosted by Dr. Paul Shaker, Dean of Education at SFU, the program provides insight and opinions from practitioners and scholars on education issues that matter for parents, students, educators and policy makers alike. From decision-making for your child’s education to accountability and diversity in our schools to health education, Your Education Matters welcomes guests who explore the challenges and possible solutions for education issues, so viewers are informed and prepared to actively participate in making their family’s education experience successful. 2011 May YEM from SFU Education on Vimeo. There are a number of very interesting videos in the series, and I encourage you to explore other interviews Dr. Shaker has conducted. When students are invited to our Community Forum, the students inevitably become the stars of the event. Take for instance last week’s final community forum of the current school year. Also attending was Education Consultant Bruce Wellman, and it was wonderful to work with him on this project. 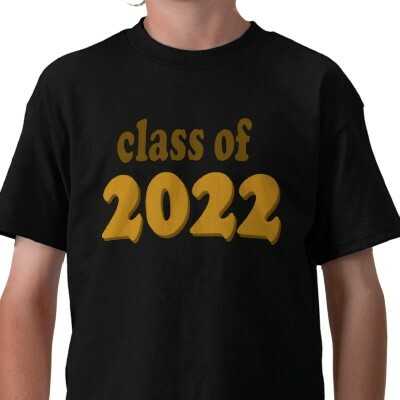 The question we asked students, parents, teachers and administrators was, “What does the class of 2022 need to succeed?” The conversation focussed around the necessary changes, and roles each person would have to help move our system to the system we want for 2022. To encourage open discussion, we set up mixed tables of students, teachers, parents, trustees and others in the community and the interaction, the observations and the insights that emerged from that mix were telling. The input from the students was particularly powerful. Tonight was the night of the Community Forum “What Does the Class of 2022 Need to Succeed?” hosted at Rockridge Secondary School where teachers, parents and students were invited to discuss the aforementioned topic and explore ideas such as how students will own their learning, how parents can support this learning and what teachers will do to guide this learning. This opportunity was first presented to me by my challenge teacher, Lynn Chartres, in an email explaining the purpose of the forum and how students were being invited to participate and that I was one of those chosen students. Eager to attend a meeting of such sorts, I happily complied. I happen to be particularly enthusiastic about events such as these where students are allowed to take part in these collaborations because I really feel that we have a lot of valuable ideas about topics such as this. I mean we are the third link in the chain, and I personally think that we as students have both a lot of experience and a lot of opinions about our education system, but most importantly, we take pride in our education and have a lot of ideas about what we can do to strengthen our system. We are the ones that are being taught after all! This brings me to my next point: how students will own their learning. And it is so vitally important that we do, for we do not all learn the same way and our strengths as individuals all lie in different places. I believe that it is the shared responsibility of the teacher, the student and the parent to help students explore that place and learn how to use the talents stored there to become a successful student and a successful individual. However, we cannot be expected to fully embrace ourselves as passionate, knowledgeable learners if we are not given the tools and the inspiration to go the lengths it takes to get there. Yet I am proud that I can say that we are taking action and that we are part of a healthy and dedicated educational system. Furthermore, another key aspect is how parents can support this learning process. One of the important points that came up in conversation was that parents, especially in our society, need to give their children “breathing space” and recognize where to draw the line when supporting their children with school. To learn, you need to makes mistakes and we need to be able to make our own mistakes. By over-protecting a child, you’re only really going to end up causing them harm in the end. If every step we take is monitored and calculated so that we can’t possibly end up treading off the path leading us to what is seen as “ultimate success,” then we ourselves will be unsuccessful as we will have no experience with the difficulties and conflicts that will arise in our adult life. What I believe parents can do to be as constructive in their child’s life as possible, is simply ask intuitive and stimulating questions about what their child has been learning and discuss what they too have been learning as an adult, then finding links between themselves, their child and the world around them. This adds to the idea of holding on to the “dinner table ritual” and engaging the family in routine conversations – whether or not they be at the dinner table – that provide everyone with a chance to reflect upon what they learned that day and share newly formulated thoughts and ideas together. It’s a process that everyone gains something from. My final point is – what will teachers do to guide this learning? With changing times come advances in modern technology, different forms of communication and a shift in the values that we honour as a society. And with such rapid, extraordinary change and overload of constantly expanding information at our fingertips, it is difficult to stay grounded. As we change and move forward, our school system must evolve and adapt to the changes that are taking place. We must discover new ways of teaching a complex and technologically centred generation of young minds, while remaining true to the educational values that have been passed down to us by our predecessors. And, although I agree that it has come time to let go of our old traditions and teaching methods so that we can embrace the new generation of modern education, we mustn’t entirely disregard the ways of the past. Our old traditions gave us structure and form; something to hold onto that was unchanging and, although the time for those ways has ended, they should be always be remembered, honoured and respected. Additionally, I feel that this “new era of education” encourages collaborative teaching methods that allow the teachers to share some of the power with their students and inspire creative and individual thinking. It is not reasonable in this day and age to simply tell students what they need to learn, what to do, how to do it and leave it at that. With that “one-size-fits-all” method of teaching, how would a group of entirely different learners and thinkers be expected to function? It is imperative that students have a chance to take in information, process it and then demonstrate their knowledge in their own, distinctive way. When given knowledge, one is given power and when the creativity and unique minds of a student come into the equation brilliant things occur. It is just a matter of providing an inspiring and passionate learning environment. Overall, the questions that challenged how students will own their learning, how parents will support this learning and how teachers will guide this learning sparked a multitude of intuitive and innovative ideas that allowed the topic “What Does the Class of 2022 Need to Succeed?” to be analyzed and from a variety of viewpoints that lead everyone to better understand the original topic.